Welcome to CBC's Asian Heritage Month website for 2009. Throughout May and June 2008, this site brought you community event listings, CBC Television and Radio programming information and archival content relevant to Asian Canadian history. This year the site will highlight upcoming CBC Television and Radio programming information and archival content relevant to Asian Canadian history. Also check out our Asian Heritage Month Archives blog by Anu Sahota. Anu presents long-lost audio & video gems from the CBC vaults, and invites you to examine and reflect on how the CBC has represented Asian Canadian history and experiences in decades past. Be sure to visit our CBC Programming Page page for more audio, video and programming information. 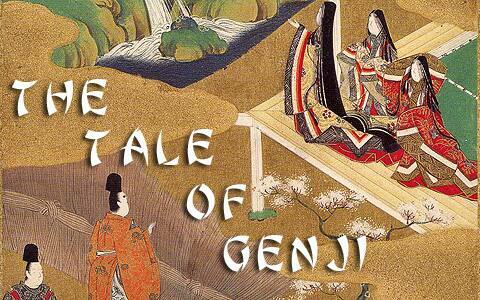 On May 5th, CBC Radio One's Ideas will broadcast The Tale of Genji. Written a thousand years ago by Murasaki Shikibu, a 30 year-old lady in waiting of the 11th century Japanese Heian Court, The Tale of Genji is considered the world's first novel. It‘s a story of politics and intrigue, of sexual conquests, frustrated love and jealousy, of the relationship between art and nature, and of the relationship between nature and the spiritual. Every person schooled in Japan can recite the beginning by heart. Scenes from The Tale of Genji have been the subject of paintings for a millennium and passages from the book have been copied and referenced in plays, poems and novels ever since its writing. Vancouver documentary maker Teresa Goff considers why the novel continues to fascinate. And on May 20th, listen for Ten Thousand Spirits. A religion going back to the Stone Age is enjoying a newfound popularity in modern-day Korea. Once reviled and driven underground, shamanism today is thriving in temples and cafes. Clients pay mostly female shamans hefty fees to call spirits from the dead, settle old scores, and foretell their future. Vancouver broadcaster Gloria Chang, who was born in Korea, returns to her native land to investigate the amazing powers of knife walking, fortune-telling shamans. Ideas is CBC Radio's premier program of contemporary thought, with an audience of approximately 400,000 listeners. Ideas is broadcast Monday through Friday from 9 to 10 pm and is heard throughout Canada and the northern United States on the 402 radio stations and transmitters of the Canadian Broadcasting Corporation, Canada's public broadcaster. Ten years ago four rusty boats landed off the shores of BC. They carried hundreds of migrants from the Chinese province of Fujian. This event sparked fierce debate amongst Canadians about whether the refugees should stay or be deported back to China. Tune into the Early Edition May 19th to 22nd as they tell you what happened to some of the 599 migrants who landed on our shores; and find out how this event changed our immigration system and sense of identity as Canadians. The Early Edition airs weekdays 5:30 to 8:37 a.m. on CBC Radio One in Britsh Columbia. Chances are, you’re holding or wearing something manufactured in the Middle Kingdom - China. Maybe it's even the radio or computer beside your ear. Simply put, a good deal of what we consume now comes from China. But what about music? How much do we know about the music that’s “Made in China?" China’s Long Song is an informative yet personal journey into the roots of Chinese music. 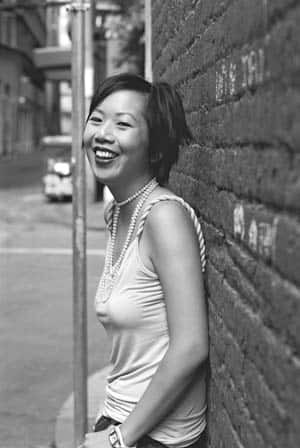 Our guide is the Vancouver musician and scholar, Mei Han, With additional narration from Vancouver music producer Matthew McFarlane. Episode One airs Saturday May 9th on Inside the Music on CBC Radio Two. “May you live in interesting times.” Both a blessing and a curse in China. This saying captures the essence of China’s turbulent twentieth century. Victim and product of the whirl of revolutions and evolutions, music has been a barometer in China. It has championed political ideologies and signaled changes in the tolerance for dissent as the winds of history swept through the Middle Kingdom. On Inside the Music you'll hear the second in a two-part series called China's Long Song. Host Mei Han, a musician and scholar, takes us on a personal journey inside China’s twentieth century and through its musical revolutions. With additional narration from Vancouver music producer Matthew McFarlane. Episode Two airs Saturday May 16th on Inside the Music on CBC Radio Two. 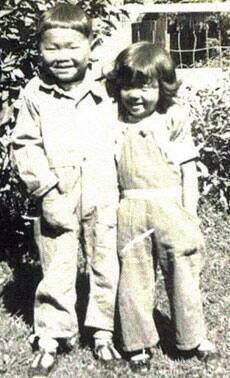 Jen Sookfong Lee will be Sheryl MacKay's co-host on North by Northwest Sunday May 10th. Jen will be profiling various Asian Canadians in the BC arts scene, including Rick Tae, the producer of a new all-Asian cast version of Flower Drum Song by Rodgers & Hammerstein, as well as photographers Ellen Ho and Ai Nagasawa who are on a quest to turn everyone into art objects. To find out more, tune in to CBC Radio One in British Columbia from 6am to 9 am on Sunday May 10th. Tandava is four piece ensemble that mirrors the cultural diversity of Vancouver in its music. Elements of Chinese, South Asian, African and European music all harmonize with astonishing ease in the hands of Tandava. What makes their music work is the skill with which they fuse their musical backgrounds and cultural references. But ultimately, like good chefs or any artist, they just have something to say and they know how to say it. It's music that pleases the ear. The concert will be broadcast on May 25th at 8pm on CBC Radio Two. The Downtown Eastside Heart of the City Festival supports active cultural traditions in Vancouver’s Downtown Eastside. In 2008, the Festival honoured one of their founding communities with a day celebrating Asian-Canadian artists. CBC's mics were in the Great Hall at the Dr. Sun Yat-Sen Garden to bring you this ensemble's eclectic blend of popular and traditional Chinese music. 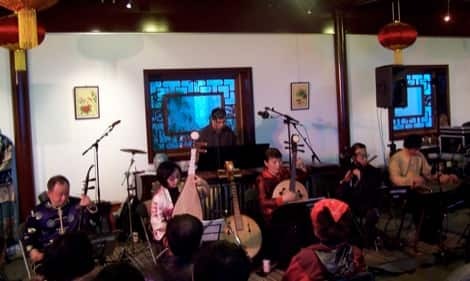 These accomplished instrumentalists play erhu (Chinese violin), dizi (Chinese flute), pipa (Chinese lute), yangqin (Chinese hammered dulcimer), zheng (Chinese harp) and ruan (Chinese guitar). Between Ourselves was a weekly series of hour-long radio programs that presented Canada to Canadians. It featured aspects of Canadian life in docudramas, plays, music, and interviews, originating from different regions of Canada. The series ran on CBC Radio from 1966 to 1979. This episode is a documentary examining the anatomy of Vancouver's Chinatown as a society within a society. Chinese young and old provide their impressions of Chinatown today, and comment on the social, political and cultural influences that have played a part in shaping the community. The episode orginally aired March 3rd, 1968. The producer was Harold Gray and the writer was Paddy Hynan. Thank-you to BC Archives for access to the sound recording. 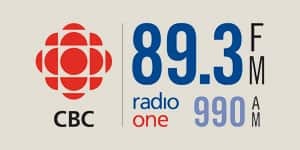 CBC Manitoba Radio One 89.3FM 990 AM is proud to support Asian Heritage Month. Tune in throughout May as they celebrate Asian Heritage Month. A scientist by profession, Maria Sabaye Moghaddam specializes in Persian classical and folkloric dances from various regions of Iran. She has developed a unique style of story telling through dance accompanied by facial gestures. Maria has had numerous performances in various cultural events and appeared on Rogers Television. 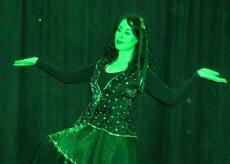 She is very active in the dance community and holds Persian dance classes for both youth and adults in Toronto. She is also the dance director for the Tirgan: Iranian Festival. Ms. Moghaddam performed two classical Persian dances and presented a folk dance workshop at Toronto's Harbourfront Centre on July 27, 2008 as part of the What is Classical? festival. 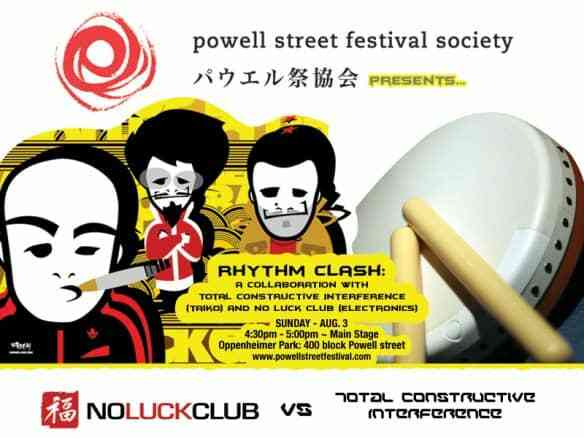 RHYTHM CLASH: A collaboration with Total Constructive Interference (taiko) and no luck club (electronics) at the 32nd annual Powell Street Festival. Rhythm Clash collaboration: no luck club with Total Construction Interface. Taiko drumming meets electronics - total madness to ensue. The Powell Street Festival took place on August 2 and 3, 2008 at Oppenheimer Park in Vancouver. 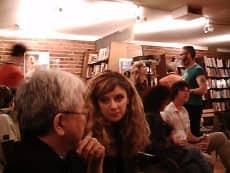 In addition to his academic and activist work, Roy Miki has been an active member of the Vancouver literary community for many years. 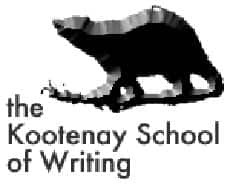 Though he was never a member of the Kootenay School of Writing (commonly known as the KSW) Miki and the KSW occupy the same shared history of the west coast's literary world. For example, Roy founded the influential literary journal West Coast Line, which has published many KSW affiliated writers over the years. Thursday, October 29, 1992 - at the Vancouver Art Gallery, with Maxine Gadd and Catriona Strang. Thursday, March 28, 2002 - at the KSW headquarters, Miki reads to launch his book Surrender (Mercury Press 2001), which won the Governor General's award in 2002. It all began with five people coming together and laughing in a Mumbai park which has over the past decade cascaded into a worldwide movement with more than 5,000 laughter clubs all over the world. 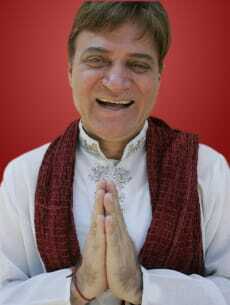 Laughter Yoga was conceived by Dr. Madan Kataria in Mumbai, India. What started as a research assignment in 1995 on the benefits of laughter has taken on a life of its own. Laughter Yoga is an effective routine that brings complete physical, mental, social and spiritual well-being. It instantly reduces stress by bringing more oxygen into the body, strengthening the immune system, fighting depression and creating a network of individuals who come together just to laugh. The yoga in this therapy entails a series of breathing and easy movement exercises designed to teach the body to laugh without depending on jokes or humor. Dr. Kataria starts with the premise that the mind and body does not differentiate between laughing at something and laughing for no reason, so laughing for no reason is often the best medicine. Drawing from India’s long array of yogic practice and with the help of his wife Madhuri, a yoga teacher, Laughter Yoga was invented. Laughing for no reason, is good for you. A speechwriter somewhere on Parliament Hill has been thumbing through the thesaurus for all the different ways to say, "We're sorry." The "we" in this case is the Government of Canada. The "sorry" is for actions taken by this country in 1914. And when all the T's are crossed and I's are dotted, the apology will be delivered to the Canadian Indian community. And it will be delivered for an event called the "Komagata Maru Incident", named for a ship carrying close to 400 would-be immigrants from British India, which docked in Canada. 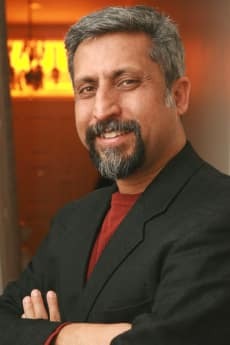 Ali Kazimi is a documentary filmmaker, who told the story in a film called "Continuous Journey". He's in Toronto. Continuous Journey - In 1914, the Komagata Maru, a ship carrying 376 immigrants from British India, was turned away by Canada. The consequences were felt throughout the British Empire. Continuous Journey is a compelling and eye-opening investigation into the past and present ramifications of this incident. More than just a history film, Continuous Journey is a provocative, moving, and multi-layered essay that interweaves photographs, newsreels, home movies and official documents to unravel a complex and little-known story. Ed Kwan - better known to karaoke lovers as China Doll - is the karaoke drag queen on the Somerset Strip. She makes an appearance each Saturday at The Shanghai Restaurant. The restaurant was first started by the Kwan parents. Now the kids run it. A few years back, CBC network producer Bob Carty brought his own microphone to karaoke night to meet China Doll. More recently, China Doll stepped out of the Shanghai Restaurant to perform at The Chutney n' Chopsticks Cabaret at Club Saw in Ottawa. In Ottawa, dhol players are often relegated to the basement or the garage when they want to practice - at least that's what happened to Inderpal Bal when he took up the Punjabi drum. He's played it for six years, now and performs with a bhangra team. Recently he took his instrument out of the basement and into Club Saw's Chutney n' Chopsticks Cabaret night. CBC Calgary Eyeopener's Chris dela Torre prepared a series of stories about the Asian experience in Calgary for Asian Heritage Month. In this last installment of his series, he gets personal and visits the Filipino Cultural Foundation to take a language class. (runs 4:05) Like 19,000 of Alberta's 36,000 Filipinos, Chris doesn't speak his parents' language. Tonight's story in our "East meets West" series as part of Asian Heritage Month focuses on a local businessman from Indonesia who's making a difference for an orphanage back home. Our series continues with a look at fusion art where message is universal and the style is East meets West. The cultures of Asia have their own unique qualities. But they also have much in common: namely, a fondness for karaoke. During Asian Heritage Month,The Eyeopener's Chris dela Torre took listeners on a tour of the Asian experience in Calgary. In this segment, he tries to find out why singing in public is so popular with many Asian cultures. 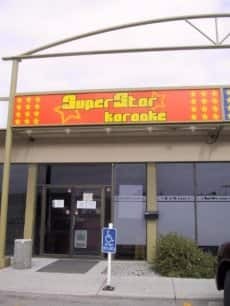 Join Chris dela Torre on a visit to Superstar Karaoke, (runs 6:35) Calgary's only large-scale, alcohol free karaoke facility. Muay Thai or Thai Boxing has roots that extends far into Thailand's history. It was first used in close combat on the battlefield and was eventually popularized as a spectator sport. Now recognized as Thailand's national sport, this fighting style is described as the most dangerous of all martial arts. 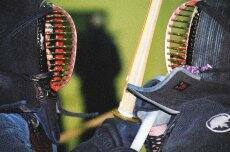 It utilizes all parts of the body: hands, feet, shins, elbows and the head as weapons against one's opponent. Fast-paced and intense, Muay Thai is not for the faint of heart. It began in August of last year in Athens and has continued through Europe, Australia and New Zealand, parts of South Asia, Africa and South America, finally arriving in Vancouver on Sunday, May 25 as its last North American stop. The Global Human Rights Torch Relay is aimed to raise awareness about China's human rights record before the start of the Olympic Games in Beijing this summer. Scheduled to end in Hong Kong in July, protesters are trying to emphasize that the atrocities being committed in China are not in keeping with the spirit of the Olympics. 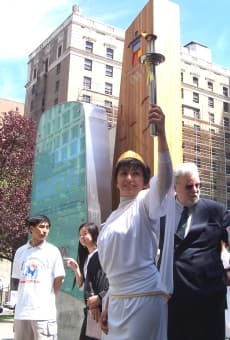 Read the full length article on the Global Human Rights Torch visit in Vancouver. A member of the Order of Canada, a football star, a real estate whiz, and now the Lieutenant Governor of Alberta. The Asian community is the fastest growing community in Alberta, and we're featuring some of these immigrants in our series "East meets West." Today we meet Noriko Yamamoto. Originally from Japan, she's called Edmonton home for almost three decades. Noriko works as a cook at Glenora day care. CBC Radio's Dalia Thamin met up with her during busy lunch time at the daycare. From CBC Archives, an exploration of Chinese-Canadian identity in 1960s Canada. 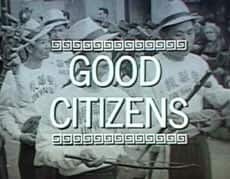 The two-part documentaryThe Good Citizens originally aired in August 1964 on the Vancouver-produced series Camera West. The title is attributed to the idea that despite the prejudice directed against them in earlier decades, Chinese-Canadians had proven to be "good citizens." The selected episode, Search for the Past (runs 8:00) explores the impact of modern life and social concerns on Chinese-Canadian identity as well as the history of anti-Chinese prejudice in western North America and the Chinese response. 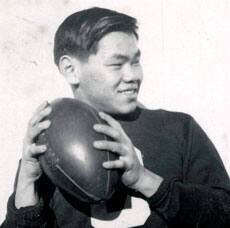 The subject is examined from the viewpoint of young Chinese-Canadian Bob Lee, with comments from several other interviewees. Includes footage of Vancouver's Chinatown by day. Amy Loewan is a Hong Kong born artist who now lives in Edmonton. Her current art project is called The Peace Project. It consists of floor-to-ceiling wall hangings made of rice paper strips woven in a simple, flat basket weave. Words of peace in many languages are interwoven, some legible and some obscured by other words. There are also faint charcoal markings and shadings on the hangings. As part of our series East Meets West, CBC Radio's Dalia Thamin visited Amy in her studio, which is really a transformed garage behind her house in Edmonton's Ritchie neighbourhood. We continue our series East Meets West, which celebrates the contribution of the Asian community in Edmonton. Today we meet the Edmonton filmmaker, playwright and actress Mieko Ouchi. She's been busy working on various projects ever since her career kicked off with the documentary Shepherd's Pie and Sushi, about her mixed family roots. And her latest acting role is in The Guard, a Canadian series that runs on Global TV. CBC Radio's Dalia Thamin spoke with Mieko. Capital Health plans to hire 500 nurses from the Philippines, and Dr. Gilmour Becina would love to be one of them. 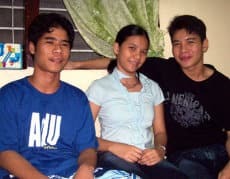 Becina doesn't earn enough as a doctor in the Philippines to send his children to university, so he's done something unheard of in Canada: He has retrained as a nurse. It's a growing trend in the Philippines, where thousands of doctors are retraining as nurses each year, in the hopes of working in western countries like Canada. CBC Radio’s Ann Sullivan met Dr. Gilmour Becina in the social security office in Santa Cruz, Philippines. Edmonton's Chinese community is as diverse as the city itself. Although the first Chinese immigrants arrived in Canada in 1858 for the gold rush, the first major wave of Chinese migration was between 1881-1885 when the Canadian Pacific Railway brought in nearly 6,500 Chinese workers to build the railway. 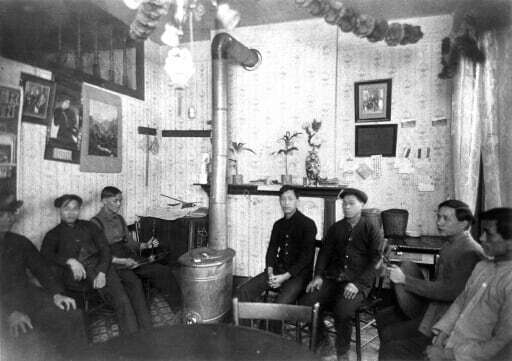 This timeline gives the full history of Chinese migration to Canada, Alberta and Edmonton. Click on a date to navigate. Last September, RCI viva invited high school students across Canada to express themselves on intercultural relations. To enter the Generation DX2 competition, students between 12 and 18 years old were asked to talk to us about their reality or to tell us a story about cultural differences through short film, audio work or photo story. The jury selected 58 finalists' works: 49 in French (28 short films, 14 audio works, 7 photo stories) and 9 in English (5 short flims, 3 audio works, and 1 photo story). View them all at DX2. This slideshow, narrated by Maj Yee, owner of Goldilocks Bakeshop in Vancouver, is a sampling of various Filipino foods. People familiar with the Mandarin language could soon have their ears opened to a new side of Ottawa. The Bytown Museum will be offering audio guides in six languages, including Mandarin. It's fitting, perhaps, that during Asian Heritage month, Asians will have a new way to learn about their city's past. This week, a select group of volunteers donned the headphones to give the museum's new audio guide a test run. Members of the public will be able to take an audio tour of the Bytown Museum in six different languages starting June 13. You can learn about the stories and exhibits of Ottawa in English and French, as well as Mandarin, Japanese, Spanish, and German. They fled in the thousands, packed into tiny ships searching for a life of freedom. Almost thirty years ago, people in Ottawa opened their homes took to a group of refugees known as the 'boat people.' They called their movement Project 4000 and it would change the face of the city, even the country. Brian Buckley was one of those people who volunteered to be a sponsor. And now, he's put all that history into a new book called Gift of Freedom: How Ottawa Welcomed the Vietnamese, Cambodian and Laotian Refugees. It's published by General Store Publishing House. Two million Filipinos are expected to come to Canada for work in the next ten years. Many of them will come to Alberta to fill our desperate labour shortage, but with that growth comes concerns about brain drain. At issue is that we are taking their best and brightest, especially in the medical field. Dr. Gene Nisperos is Secretary General of Health Alliance for Democracy (HEAD), a medical advocacy group in the Philippines. He calls the brain drain of workers leaving for Canada and other developed countries a brain hemorrhage. He sat down with CBC Radio's Ann Sullivan to talk about it. Three videos from CBC Edmonton's television archives. The official opening of the Chinatown Gate. The gate was a symbolic display of friendship between the people of the twinned cities of Edmonton and Harbin, China. Language is one of the strongest links to culture and community. For many Chinese immigrants, Edmonton's unique Mandarin school program is a way for their kids to keep in touch with their Chinese heritage. 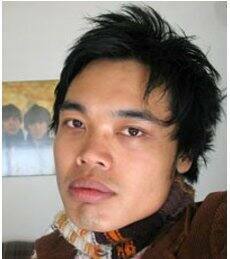 Thuan Ngo is one of many Vietnamese boat people who eventually found a home in Edmonton. Here, he managed to start over again, building a new life and the Pago-lacs--two of Edmonton's favorite restaurants. The CBC Radio Battle of Beethoven was fought in Vancouver’s CBC Studio One. Students aged 13 to 18 from around BC competed for fame, glory and national broadcast exposure on CBC Radio Two. Competitors were asked to perform their most compelling rendition of music written by the brooding 19th century Viennese composer. The winner of the contest was fifteen-year old Vancouver pianist Jovian Cheng. Jovian started piano lessons at six with Peggy Yip and now studies with Dr. Sasha Starcevich, Last year, he won first prize at the Canadian Music Competition (Piano 14 years and under). He recently had his debut with the Vancouver Symphony Orchestra performing the Tchaikovsky Piano Concerto. Jovian plans to continue his studies and pursue a career in music. Each year Filipinos working in Canada send $600 million back home to support their families. Merle Flores is one of them. She's a nanny in Edmonton. Her remittances support her three children in Manila. Most of the money goes to their education. She spoke with the CBC Radio's Ann Sullivan. On Wednesday May 7th, CBC Radio's All in a Day spoke with Simmi Dixit, an Ottawa food lover who runs the catering business Simmilicious Sweets and Treats. Simmi Dixit just spent the past eight months overseas in the Philippines and during her visit to the the All in a Day studio, (runs 8:20) Simmi brought a bit of her travels home. On Tuesday May 6th, CBC Radio's All in a Day spoke with Yurika Murakami, (runs 9:01) a member of Oto-Wa Taiko, a Japanese drumming group. Murakami left her home in Japan ten years ago, but it was in Ottawa that she rediscovered a part of her Japanese culture through Taiko drumming. For more information, visit Oto-Wa Taiko. The month of May is Asian Heritage Month. This month is an opportunity to acknowledge and celebrate the rich history of Asian Canadians and their contributions to our country. Since its inception in Toronto in 1993, cities across Canada including Montreal, Ottawa and Vancouver have been holding annual festivities to recognize Asian Heritage Month.